Buganation crooner SIL Bugatti who dropped a hit banger titled Far Away some Months back which his fans can’t stop vibing to has hit the studio once again to give his fans yet another banger. He did a cover to Starboy boss Wizkid’s Fever and trust us, SIL Bugatti Fever will get you so sick you won’t need a medicine. The Buganation boss ain’t slowing down one bit. Fever is one song you need to have on your playlist. It makes you want to love that special girl over and over again. 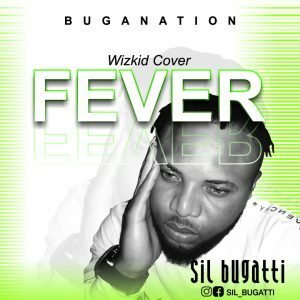 Download Fever By SIL Bugatti here. 0 Response to "Download Music Mp3:- SiL Bugatti – Fever (Wizkid Cover)"